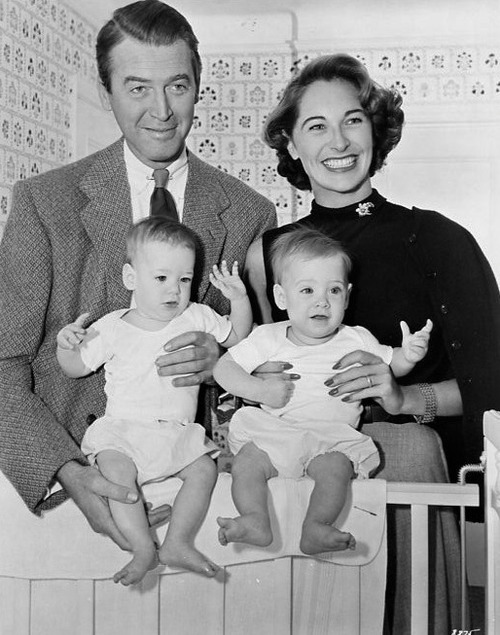 James Stewart, who was called Jimmy, was born on May 20th 1908 in Indiana as the oldest child to Elizabeth and Alexander Stewart. His father was a hard-working, stern man who was very involved in Jimmy’s life. His mother was a warm and loving woman. The family would sit around the piano on Sunday, singing and playing instruments. Jimmy was shy, did not have many friends and spent most of his time building model airplanes by himself. But he was the only man in the house besides his father and he was very protective towards his two younger sisters. When he was ten he started helping out at his father’s hardware store, as he was expected to take over the business someday. Jimmy’s love for films and acting started as a teenager, but his big dream was to become a pilot. But his father wanted his only son to go to Princeton, just like he had done. So at the age of fifteen, a reluctant Jimmy was sent to a prep school. It was there that he made his first appearance on stage. After prep school, Jimmy attended Princeton to study architecture. His love for acting grew at Princeton. He become involved with Princeton’s celebrated drama club. His musical upbringing got him into the club, he was good at playing the accordion, but he soon moved on to speaking parts. His dream had always been to live in Indiana, work hard and start a family, just like his father. But when he graduated from Princeton in 1932, The Great Depression was soaring. Jimmy questioned if he could find a job as an architect during these troubled times. So when he was invited to join the University Players, a summer stock company in Massachusetts, he accepted. He played his accordion, helped design the sets and played small walk-on parts. Another soon-to-be famous actor in the group was Henry Fonda, who became a lifelong friend to Jimmy. When the company got the opportunity to be on Broadway, he found himself in acting Mecca New York. He shared an apartment with Henry Fonda and got himself a part in the play Goodbye, Again. Still, The Great Depression had hit Broadway as well, and for the next couple of years most of the plays Jimmy appeared in were cancelled quickly. But Hollywood was always looking for talent and James had screen-tests with Warner Bros. and Fox, although neither offered him a contract. He was struggling to get by, until MGM stepped into play in 1935 and offered him a contract for seven years. He moved in with Henry Fonda, who had already moved to Hollywood, in lodgings next door to Greta Garbo. Jimmy received bit parts in MGM movies and was assigned to participate in screen-tests with new starlets. A whole new world opened up for Jimmy. Although his father urged him to come home and marry a local girl, Jimmy and Henry Fonda became known as Hollywood’s newest playboys. 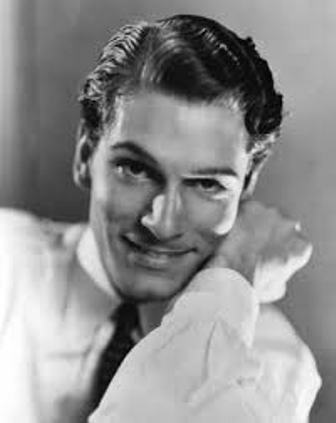 In his first years with MGM, Jimmy dated woman like Ginger Rogers and Norma Shearer. In spite of his womanizing ways, he never made any enemies and he was known as kind and respectful. Jimmy didn’t hit the big time at once, but slowly rose to fame when he appeared in increasingly bigger roles in movies such as Next Time We Love, You Can’t Take it With You and Mr. Smith Goes to Washington. In 1939 Jimmy made his first western, a genre the public loved to see him in, Destry Rides Again. Jimmy reportedly had an affair with legendary actress and co-star Marlene Dietrich on set. 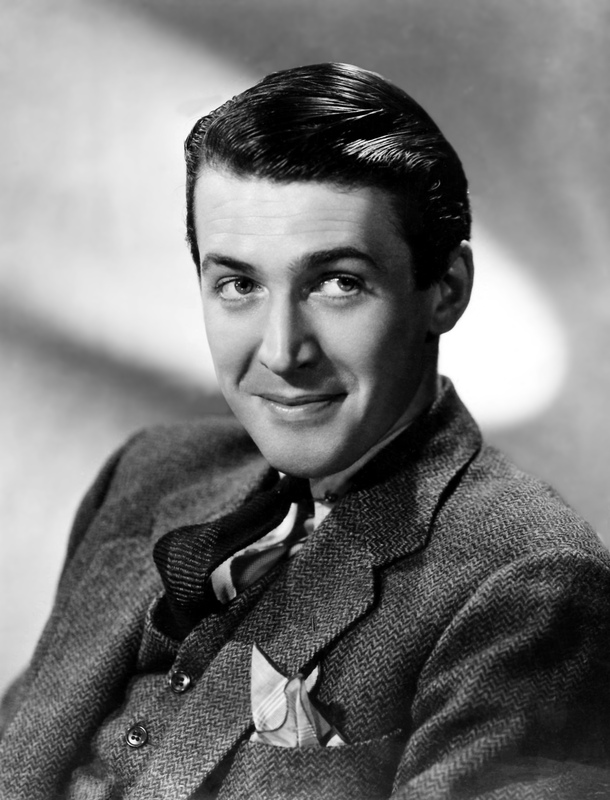 1940 was a good year for Jimmy: he made The Shop Around the Corner (which would be re-made twice as In The Good Old Summertime and You’ve Got Mail), The Mortal Storm and most notably The Philadelphia Story. Katharine Hepburn really wanted Jimmy to be her co-star in The Philadelphia Story and he eventually won an Oscar for his portrayal. It was undeniable that Jimmy was a star now. Personally, Jimmy had started seeing actress Olivia DeHavilland after he was asked to accompany her to the premiere of Gone With The Wind. He even proposed to her, but according to Olivia this was more ‘a frivolous thing’ and she felt he still had ‘some wild oats to sow’. They broke up in the early forties. He appeared in a couple of ‘screwball comedies’, like Ziegfeld Girl with Judy Garland, back to back before being drafted to enter the military. It was 1940 and World War II was in full swing. Jimmy’s family had deep military roots, his father had served during World War I when Jimmy was ten, and he really wanted to join the military as well. Although these were troubling times, Jimmy was able to finally pursuit a dream of his: he became a military flier. He was already a licensed pilot, having earned his Private Pilot certificate in 1935, and was eager to make good use of it. He soon realized though, that he was being assigned to many ‘behind the lines’ duties to make use of his fame. He was asked to participate in radio programmes and a propaganda film. Much to his dismay, he stayed stateside for two years. Eventually, he was able to persuade the commanding officers and in 1943 he was transferred to England. 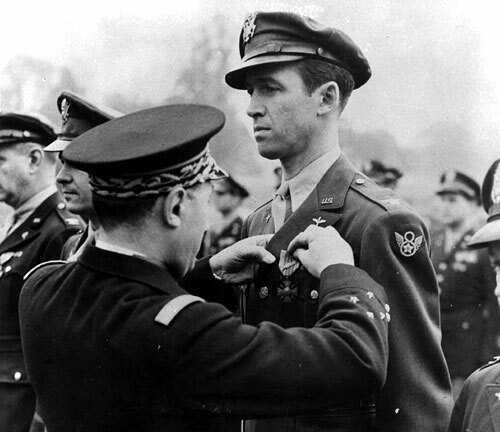 From then on his war record included 20, often dangerous, combat missions. At the end of the war he had risen to the rank of Colonel. After the war he remained with the US Air Force Reserves and he was promoted to Brigadier General in 1959. He was very proud of having served his country, but he had seen some horrible things. When he came back from the war, he did not say much about his time overseas and he never would. His contract at MGM had come to an end and he took some time off to re-asses his career. He thought about going into aviation if his acting career did not take off again. That was not necessary though; His first film in five years was It’s A Wonderful Life. Jimmy had his reservations about the film. He wondered if he was up for the up-beat tone, so soon after the war. Eventually, It’s a Wonderful life wouldn’t only become a popular classic, but also Jimmy’s favorite film out of all the films he had made in his career. At the time, though, It’s a Wonderful Life did not do too well at the box-office. He started to doubt his acting ability and thought a lot about his life. Jimmy realized that he was ready to settle down. The war had changed him, many commented that it seemed as if he had left a boy and came back a man. Fate stepped in when met a lady who would change his life in 1948. At a dinner party in the home of Gary Cooper and his wife, Jimmy met Gloria Hatrick. The 31-year old former model had just been divorced and had two sons. She was outgoing, well-educated and athletic. Jimmy would later say it was love at first sight. Gloria turned him from a notorious bachelor, who vowed to never marry, into a loyal family man. He soon proposed and the two got married in 1949. He also adopted her two sons Michael and Ronald. Jimmy had no problems adjusting to family life and from then on, his family came first. In the meantime Jimmy had worked with both Alfred Hitchcock and Anthony Mann, collaborations that proved to be very successful. He returned to the stage as well, in Harvey and he reprised his role in the film adaption soon after. 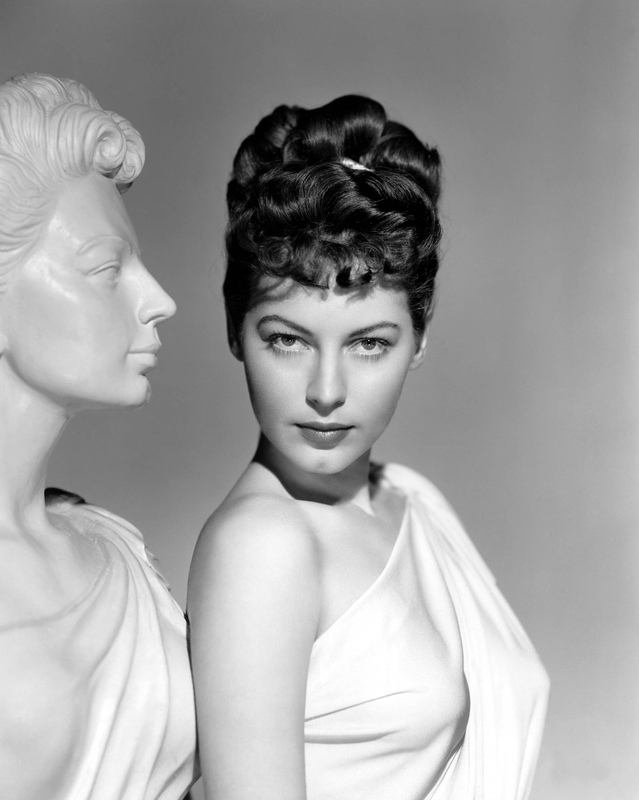 His personal life was thriving as well: in 1951 Gloria gave birth to twin daughters Judy and Kelly. His career hit a high in 1954 when he made one of his most famous features, Rear Window, and became the highest grossing actor of the year. His collaborations with Anthony Mann and Alfred Hitchcock were some of the most popular features of his career. Unfortunately, Hitchcock’s Vertigo was considered a flop at the time and the famous director blamed Jimmy for this. After four films, the two never worked together again. Jimmy was never really fazed by career setbacks anymore though, his personal life had become more important to him than anything. Although he was well in his fifties by now, Jimmy’s career was still going strong. He even made one of his most famous westerns during this time: How The West Was Won. His age and personal life did have an impact on his career though: he started making more family oriented films like Mr. Hobbs Takes A Vacation. In contrast, his duties as a Brigadier General asked for him to participate during a bombing mission for the Vietnam War in 1966. He refused to release any publicity for this, as he felt he was just doing his job. The war hit close to home for Jimmy when his son Ronald decided to join the military and was killed in action in 1969. Jimmy and his wife were devastated, but they dealt with their grief in private and Jimmy rarely spoke about it in public. Television was the new frontier in Hollywood and during the 70’s Jimmy decided to join in on the fun. He made The Jimmy Stewart Show and played in the mystery Hawkins. Both were not very successful. He also started appearing on The Tonight Show, where he recited poems he had written. This turned out to be very popular and his poems were turned into a book in 1989. 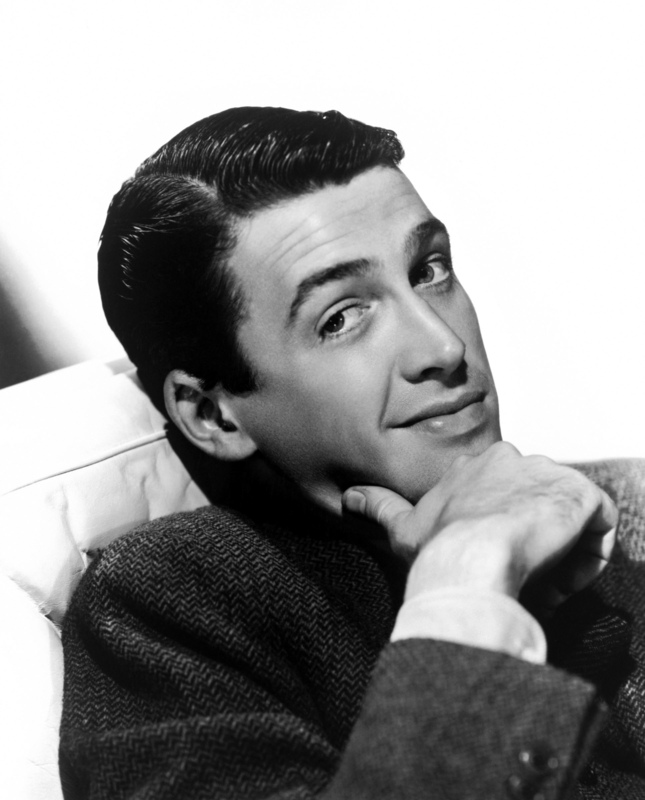 Through these appearances, re-runs of his films and the extreme popularity of the re-discovered It’s A Wonderful Life, Jimmy became loved by a whole new generation. He became known as the voice of Campbell’s Soup and campaigned for the presidency of his good friend Ronald Reagan. 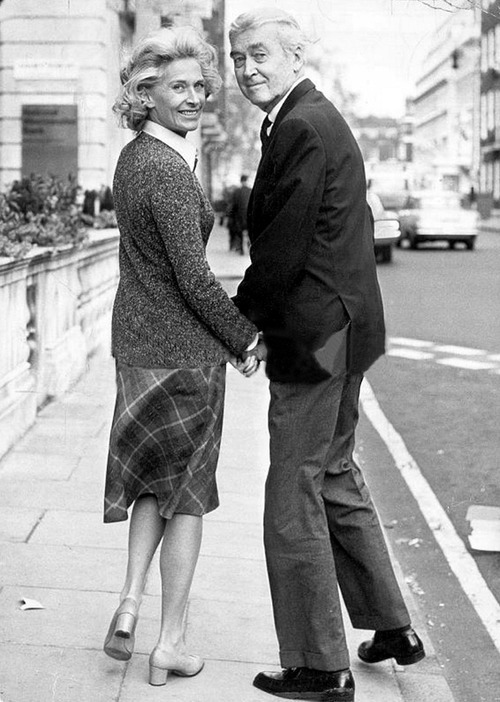 Jimmy and his wife also became very active in philanthropic affairs and they were avid gardeners in their downtime. In the early eighties Jimmy lost his good friends Henry Fonda and Grace Kelly and was one of the last living stars of the Golden Age of Hollywood. His iconic status was confirmed by numerous tributes and awards during this time. In 1985 Jimmy received an Honorary Oscar out of the hands of Cary Grant and his hometown of Indiana had built a statue of him in front of the Courthouse. He was one of the most passionate speakers in a Congressional hearing against colorizing black and white classics in 1988, along with stars like Katharine Hepburn and Ginger Rogers. But Jimmy was politically involved as well: working on projects that enhanced the understanding of the U.S Constitution and the Bill of Rights. In 1991 Jimmy played his last role, voicing a character in An American Tail: Fievel Goes West. In 1994 Jimmy’s beloved wife Gloria died of cancer. He missed her terribly and never got over her death. His health began deteriorating and on July 2, 1997 James Stewart passed away of cardiac arrest. 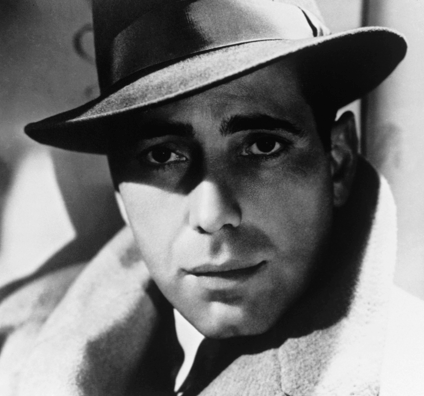 He was 89 years old and left a legacy as one of the kindest stars of the Golden Age of Hollywood. 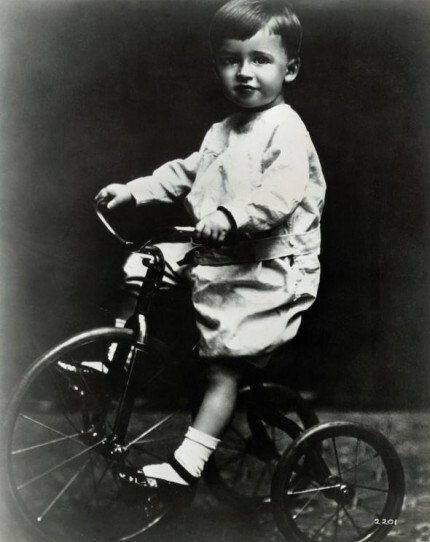 See his life in pictures in the James Stewart Gallery. For the James Stewart Gallery go here.